A headline that reads Federal Employees in D.C. Are Buying Loads of Legal Weed will capture the attention of anyone who pays attention to news impacting the federal community. Is it designed to capture the attention of potential readers or are federal employees buying a lot of marijuana? While the federal government continues to drag its collective feet when it comes to reforming national marijuana laws, Federal employees that live in and around the nation’s capital are already smoking weed in growing numbers. (emphasis supplied) And many of those cannabis consumers are federal government workers, according to a new study. The title of the survey report is also misleading. It is entitled Profile of the Cannabis Consumers within the D.C. Market Influencing Federal Government. The survey actually refers to government workers and not just federal employees. Obviously, some of those responding may have been employees of the DC government and not just the federal government. Consumer Research Around Cannabis surveyed 1,368 people in the D.C. media market. This market covers Washington, D.C. and parts of Virginia, Maryland and West Virginia. Of those responding to the survey, 8% said they purchased marijuana from a legal retailer or from a dispensary. Of the survey respondents who were government employees, 11% indicated they bought marijuana legally—a little higher than the 8% overall rate. Government employees accounted for 16.7% of the total number of buyers. Some 41% of the government employees approved of both legalized adult use and medical marijuana, only 11% disapproved of the legalization of both categories. In the District of Columbia, using marijuana is legal for recreational and medical uses. It is not legal to sell it commercially. Marijuana was legalized in DC through a 2014 ballot referendum. But here is the rub. Congress exercises oversight over the DC government. This prevents the city government from regulating marijuana sales like other cities which are given authority to sell from a state government. Federal employees who want to smoke marijuana need to be careful even if they work in the District of Columbia where using marijuana is legal. While the law in DC is confusing, perhaps intentionally so, it is not confusing for the federal workforce. If anyone missed the point, Ms. Archuleta’s memo also noted that a federal employee can be removed for the use of marijuana. Under 5 C.F.R. 731.202(b)(2), criminal conduct — including a violation of the Controlled Substances Act — may be the basis for an unfavorable suitability determination. In determining whether employment of an individual with a history of criminal conduct related to that individual’s possession of marijuana will protect the integrity or promote the efficiency of the service, the following considerations under 5 CFR 731.202(c) will always be relevant and should be taken into account: (i) the nature and seriousness of the conduct, (ii) the circumstances surrounding the conduct, and (iii) contributing societal conditions. Possession of cannabis still represents contraband at the workplace to agency attorneys and security officials. 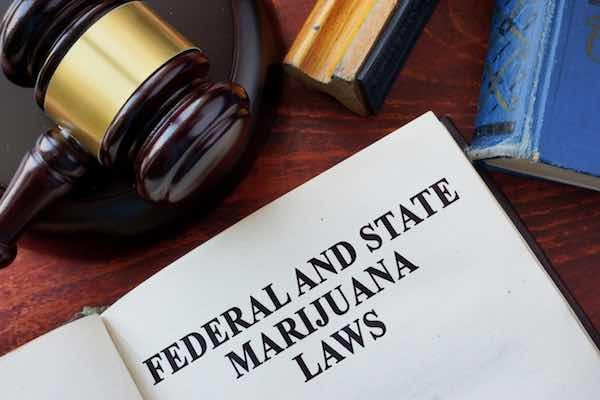 As with other personal habits/choices that may be construed as security risks (such as driving under the influence of alcohol), marijuana legalization doesn’t necessarily mean that Feds may indulge freely without concern regarding the consequences. In the survey cited above from Consumer Research Around Cannabis, the highest level of support for marijuana legalization by government employees in the Washington, DC area was less than 50%. The highest approval rate was 41.7% for recreational and medical use. Only 1.5% approved of marijuana for recreational use only. One federal attorney has written an impassioned article on why marijuana use should be legalized. She certainly deserves credit for being willing to publicly share her opinion on a controversial subject. [T]he OPM policy against hiring anyone who has smoked marijuana in the last five years has crippled our ability to prepare for cyber-attacks. [FBI Director James Comey] said all the best candidates are disqualified by this policy. In the face of these recurring concerns and mainstream support for marijuana law reform across the country, (OPM Director) Katherine Archuleta spent resources calling for good people, who are good at their jobs, to be fired under the banner of the morally expired, criminal marijuana prohibition. There is little doubt the use of marijuana is controversial. While some people do not see any harm in using marijuana, a federal employee using a controlled substance can lose a security clearance and lose a federal job. While American society is moving toward more acceptance, the issue is a long way from a final resolution.